Welcome to Wow Us Wednesdays. I hope your week is going better than mine. My mom was admitted to ICU Monday night for extremely high blood pressure and not being her normal self. BP is down, but she is still confused. Thank goodness it was not a stroke! Hopefully she will improve and get stronger each day and I'm spending a lot of time at the hospital. I'm thankful it is one very close to my house. It's so hard watching our parents age and become helpless, but it's all part of life. 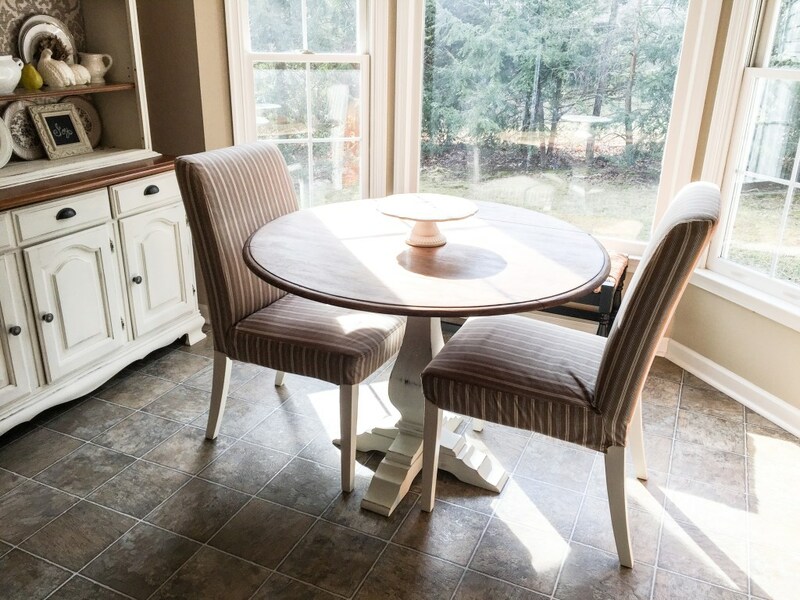 Southern Curated scored a heck of a deal on a set of chairs. 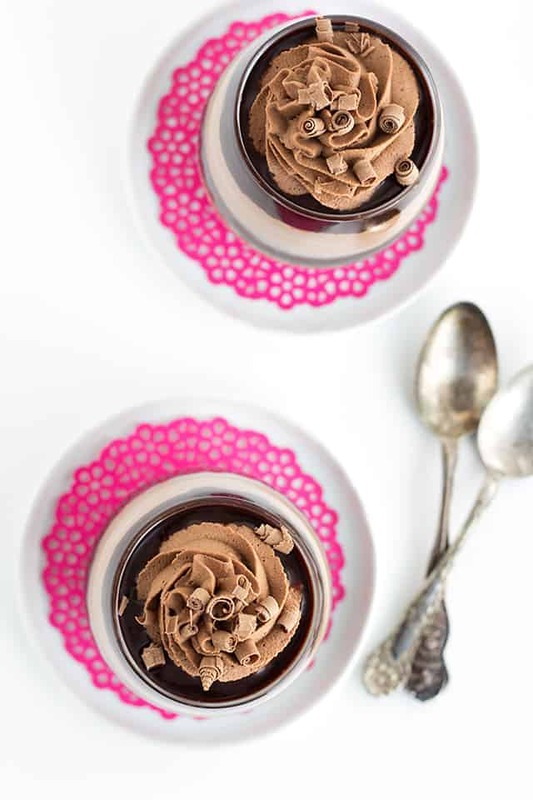 Chocolate Trifles for Two by Cookie Dough and Oven Mitt. I'm so sorry about your mom, Kim. I hope she is feeling better this morning. Thanks for hosting. Thanks for hosting, Kim. I hope your mother is feeling better. My parents are both in their 80's and I worry about them all the time. I am so sorry about your Mom. I hope she is feeling better! Prayers for your mother, Kim! Hope each day is better. Thanks for hosting! It is, indeed, very hard to watch your parents age. Not only is it stressful from all of the running back-and-forth that you have to do, but the emotional upheaval can be crushing. Please take time for yourself every day to keep your strength up. Sorry to hear about your mum, I hope she get better soon. Hope your mom is doing better and comes home soon. I can certainly understand. My dad had heart surgery a month ago and my sister and I are taking turns helping him out. He hasn't been out of the house since surgery - we don't want him exposed to the flu!! I think we are going to try to find someone to go to his house 2-3 times a week and help out. It IS hard, but I'm so thankful to have him!! Ohhh...hope your mom feels better. It is very hard when our parents age. The wall color looks beautiful! Thanks for the party this week. Sorry to hear about your mom. I'll say a prayer for her, and you! Thanks for hosting the party. Wonderful features Kim. Continued thoughts and prayers are with your mom. Take care of yourself too! Thanks for hosting. My prayers are with you and your mom, it is so hard to watch your parents age. You always think of them as being strong and there for you, but when they can no longer do that its a tough life adjustment. Hopefully she will improve and things will look better. In the mean time take care of yourself. Thanks for hosting through all of your worries. Sorry to hear about your Mom. My sisters and I have been where you are. You might want to check for a UTI. It can do strange things as we age. I hope your Mother recovers soon. It is not easy watching someone ill and not being able to fix it. Hoping your mom is better soon!! So sorry about your mom. You're right, it's so hard to see our parents age. Thanks for hosting, Kim. Hope your mom is feeling better soon! I am so sorry to hear about your mom! You are so right, it is hard to watch our sweet parents age! Glad she is getting stronger every day! So sorry to hear about your mom Kim. Yes, so many of my friends and myself are dealing with aging parents, and it's hard. Praying she recovers quickly. Sorry to hear about your Mom, Kim. Thank you for hosting the party, especially during this challenging time. Hi Kim, prayers for your Mom and for you and everyone who is helping her. Thanks for hosting Kim. Hugs. Thank you for hosting, Kim. I'm sorry you're going through difficult times. Continued prayers for your Mom and your family. Thanks so much for hosting. I hope your mom continues to improve. Does Kelly live close by, also? The last 3 years of my mother's life were hard for us because we lived so far away. Thank goodness I was retired and stay for 2-3 weeks at a time. I'm sorry about your mom and you too. Prayers are going your way. Thank you for having the party up even now that you are going thru trying times. Sending positive thoughts and prayers to your mother. Thanks for hosting and I hope you have a wonderful week. Sorry about your mom Kim. Prayers and healing wishes sent her way. Thank you for hosting. I'm sorry to hear that your mom isn't feeling well. Prayers for her healing and for you, too. It is tough when our parents get older; both of mine have since passed. <3 I appreciate your hosting even through all of this. Don't feel badly if you need to take some time off ~ we all understand.